This is a Belgian recipe for waffles. Oddly enough though, they’re not the “Belgian waffles” that most North-Americans know. Pretty confusing. 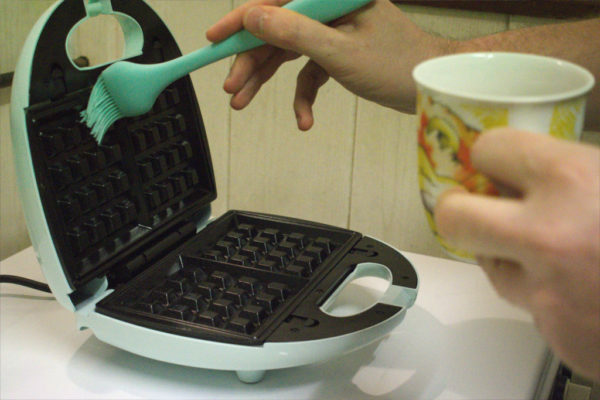 So please bear with me, while I waffle on (ha!) about the history of the waffle. To start our story it’s important to note, that there’s no such thing as “the” Belgian waffle. There are actually different types, with the Liège waffle and the Brussels waffle being the most well known. 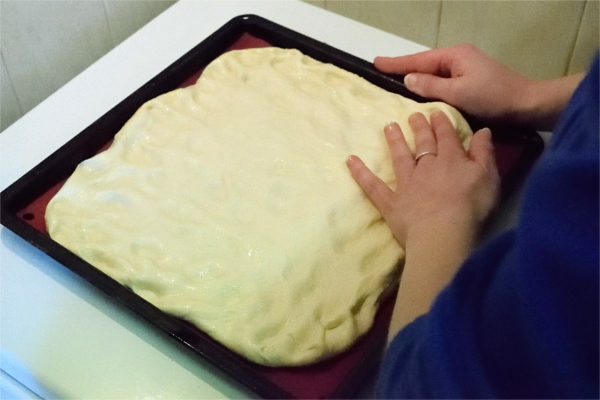 The first uses a bread-like dough with pearl sugar mixed through. The latter uses a yeast-leavened batter and is light and crisp. The internationally known Belgian waffle, is a simplified version of the Brussels waffle. 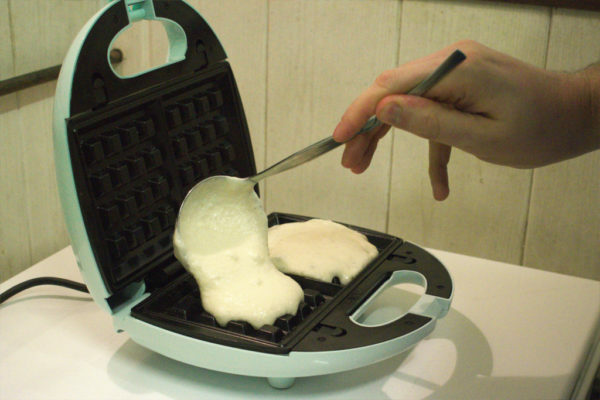 The waffle in general has a very long history and it’s impossible to say who exactly invented first. The history of the Brussels waffle is equally murky. What is clear, is that the Brussels waffle only got that name when it first became popular with the aristocracy. Because at first, with waffles containing luxury products like sugar, it was very much a treat for the rich. The bakers selling the waffle, wanted to make sure their waffles sounded fancy enough for their customers. So named their waffles after the fanciest place in the country: Brussels, the nations capitol city. So how exactly did this Belgian product go global? Well, we have Maurice Vermersch to thank for that. He sold Brussels waffles, very successfully, at the 1964 New York World’s Fair. He called his brand of waffles “Bel-Gem”, which over time turned into “Belgian”. Which is why the Brussels waffle is known internationally as the Belgian waffle. 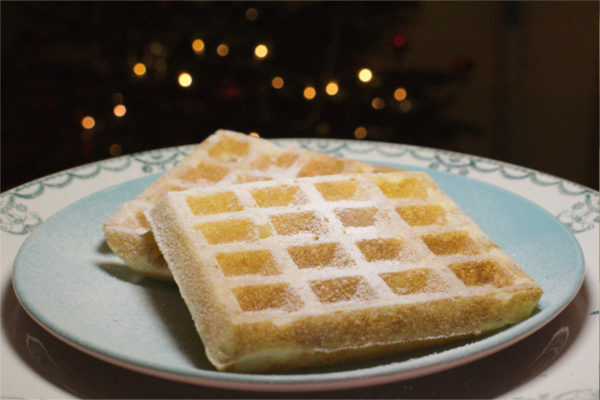 Over time the recipe of this Belgian waffle was simplified and it now often has baking powder as a leavening agent. This recipe is for the original Brussels waffle however. Unfortunately I didn’t have the correct waffle iron. Brussels waffles are rectangular and have very deep wells. Luckily, waffles made with this batter, taste great no matter what shape you make them. They’re crisp, fluffy and almost lighter than air. Stir the yeast through the lukewarm water. Set aside in a warm spot for now. Cut the butter into cubes. Add the butter to the milk and warm both on a low heat. Don't let the milk come to a boil! 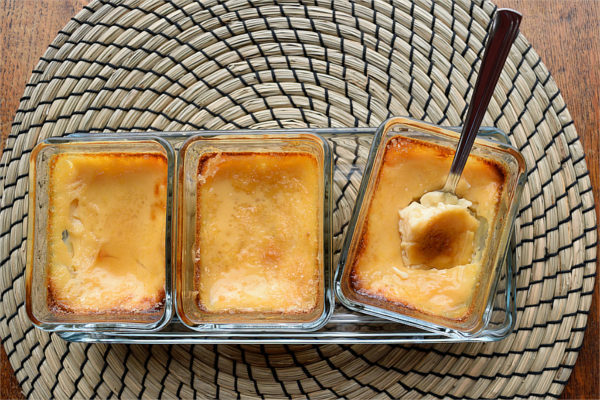 Warm the milk until the butter has melted, then take the pan from the heat and set aside to cool a bit. Separate the eggs and beat the egg whites into stiff peaks. In a large bowl, mix the salt with the flour. Add the dissolved yeast, egg yolks and sugar and vanilla sugar. Mix well. Bit by bit, add the warm milk. 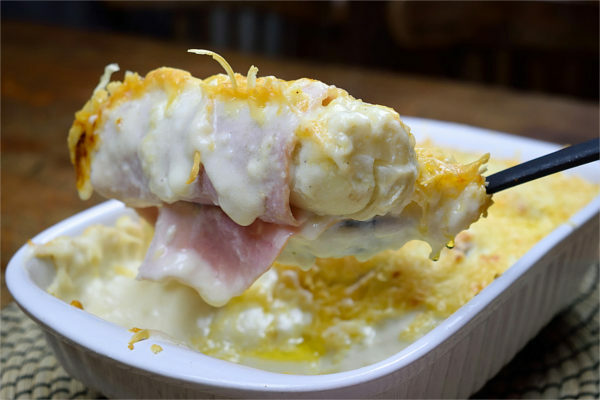 Whisk thoroughly to get rid of any lumps. Add about 1/3 of the egg whites to the batter. Fold it in carefully, to avoid knocking out all of the air. 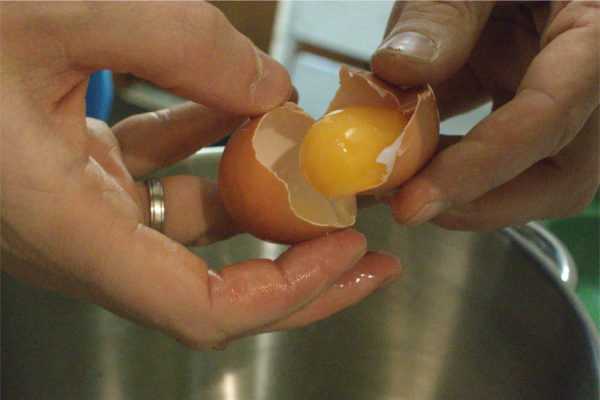 Then carefully fold in the rest of the egg whites, until everything is incorporated. 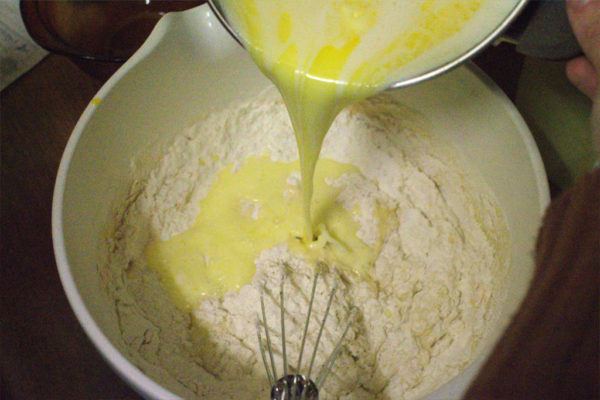 The batter should be smooth without lumps or large pieces of egg white. 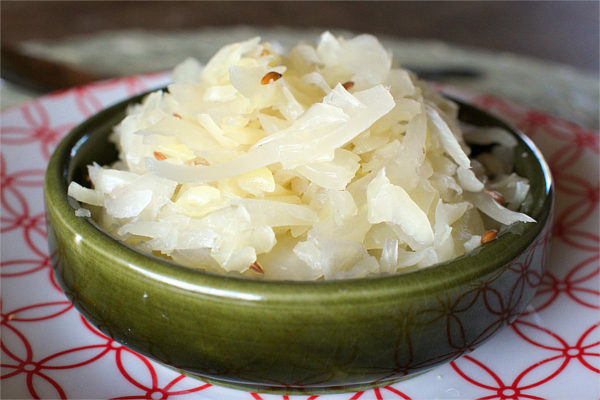 Then cover the bowl with cling film and leave in a warm (not hot) place. Let the batter prove for about 30 minutes. Preheat the waffle iron before brushing on a bit of oil. 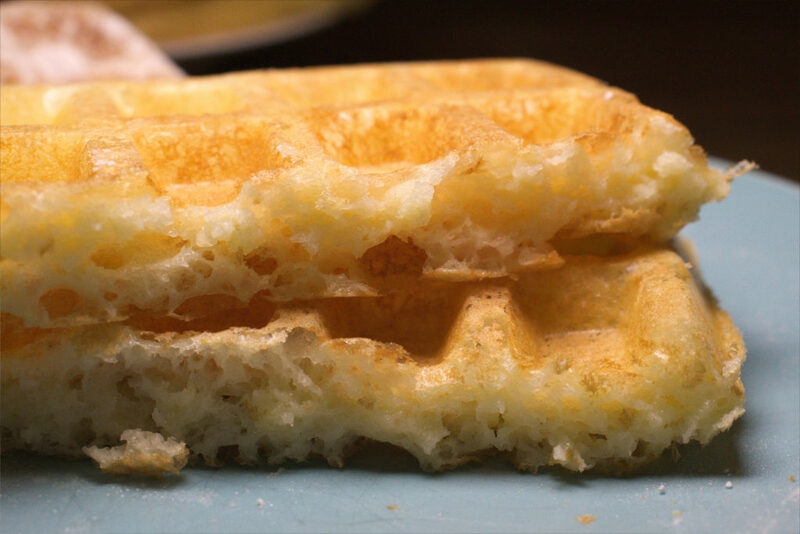 Scoop a bit of batter onto hot waffle iron, then cook for a couple of minutes until golden brown. Serve the waffles warm, with your favourite toppings. How many waffles you'll be able to make from this batter, of course depends on the size of your waffle iron. We managed to make about 20, so we had more than enough! 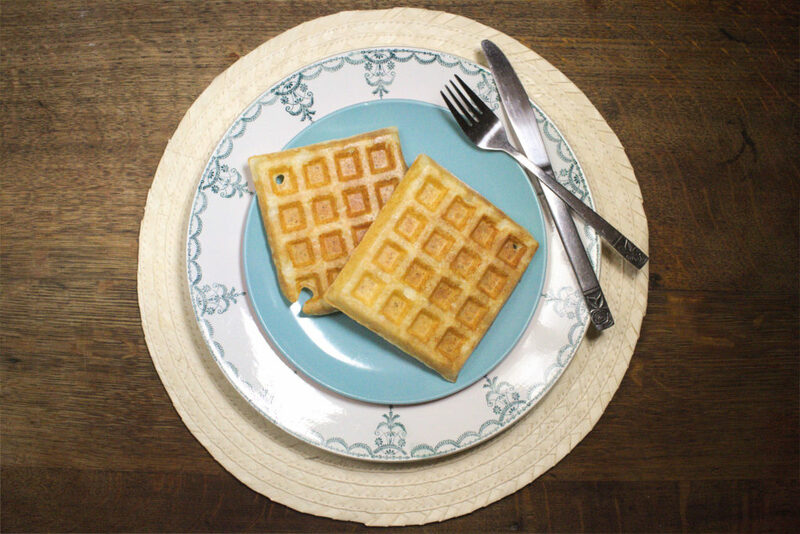 Luckily, these waffles are still tasty when eaten cold the next day.